Whether you are a football lover or football hater, you will have noticed that the World Cup has started. Time for me to ask the question: do good performances make countries happier? Let me take a – randomly selected – example. As a Dutchman, my expectations ahead of last Friday’s match against Spain were very low. We had lost the World Cup final against them in 2010. Spain’s selection contains a list of stars that rivals any team. Their team is experienced, having won three tournaments in a row: no match for our defense on young and unexperienced players. The match turned out to be one of the best stories of Dutch football ever written. In the first half, the Orange Clockwork started slow. After an undeserved penalty, Spain led 1 to 0. But just before half time, when we already had given up on our chances, something majestic happened. Daley Blind, at the left side of the field, gave a long pass, and the new Flying Dutchman Robin van Persie scored a goal that will go into history as one of the most beautiful ones ever: 1-1. And this was just a start. The Dutch team – and fans everywhere – went crazy. Arjen Robben: 2-1, revenge for the lost final 2010. Defender Stefan de Vrij, after a scrimmage in front of the goal: 3-1. 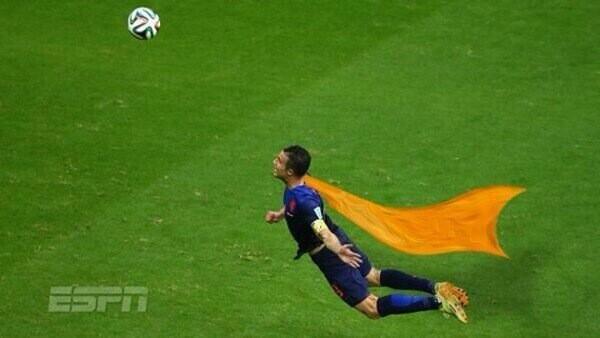 And Van Persie and Robben went on to score an improbable 4-1 and 5-1. The feeling was amazing. The beer was good. The girls in orange dresses were pretty. Even Dutch music of poor quality was good enough to sing along to. Viva Hollandia! And the good feeling persists. Waking up the next day – with a collective hangover – the result was still the same. 5-1. We beat three time champions Spain 5 to 1! I guess one can safely say: yes, football results affect the collective well-being of a country. But beyond strong anecdotal evidence, let’s see what academics say about it. Indeed, there are several academic and popular-scientific studies about this question of life and death. In their book Soccernomics, Simon Kuper and Stefan Szymanski show that hosting a World Cup increases happiness levels in a country until several years after the event. National pride increases when visitors from all around the world are received in the home country. 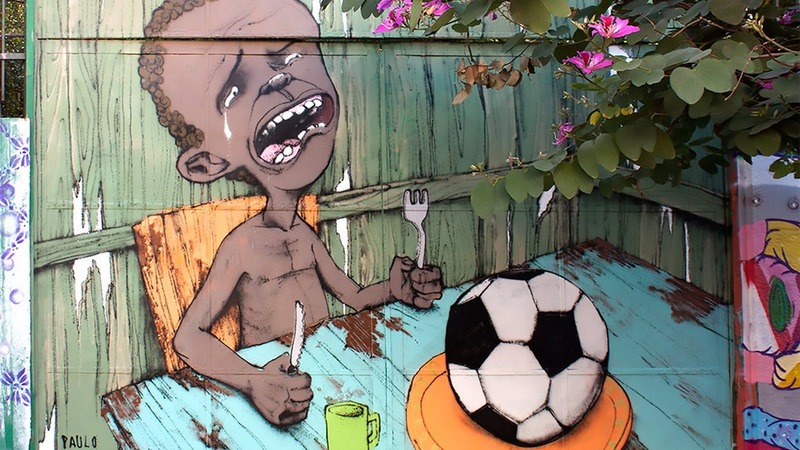 However, this effect does not appear in Brazil, where many people strongly oppose the World Cup. Street art protests dot the walls of their cities, and even the 3-1 win against Croatia, courtesy of the referee, on the opening night seems to have done little to increase the mood. 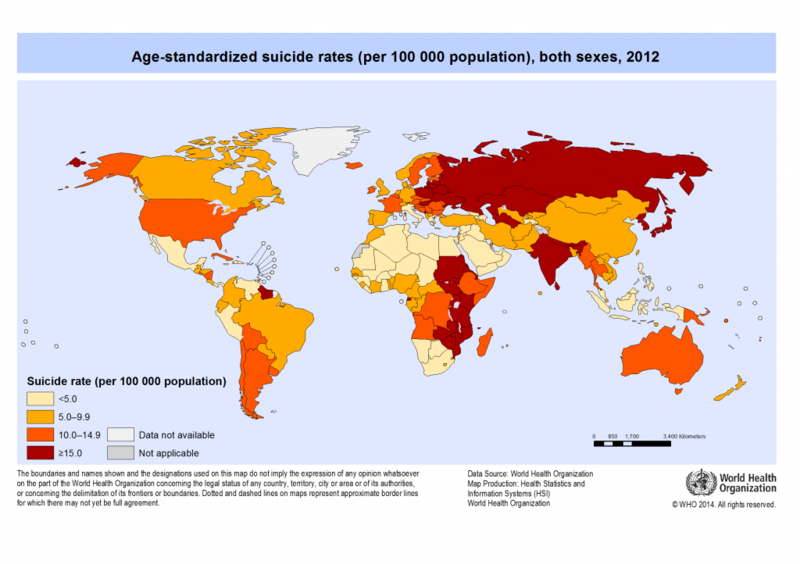 Kuper and Szymanski also show that stories about increasing numbers of suicide after dramatic losses are a myth. To the contrary, World Cups are social events involving the entire community, including depressed people. But football does carry a health risk: matches can create stress and thus contribute to heart attacks. A study, in a scientific article with the improbable title “A matter of life and death: population mortality and football results”, found a correlation between heart attacks and home defeats: male supporters of the English teams of Newcastle United, Sunderland, Middlesbrough, and Leeds United are more likely to die from a stroke when their team loses in its own field! For instance, in Sunderland, stroke deaths increased by 66% in men when Sunderland AFC lost at home. Another study by Kavetsos and Szymanski finds that the impact of sports success on happiness is mainly short term, and not statistically significant in the longer term. Beyond the home nation advantage, a second positive effect appears when a team, like the Netherlands on Friday, beats the expectations. But rather than a long-standing legacy effect, football results only are a positive feel-good factor for a short time. This also confirms the finding of a seminal study concluding that whether you win the lottery or end up in a wheelchair today, your happiness level is the same in one year time. Whether you win or lose, in three months it doesn’t matter anymore, claims psychologist Dan Glibert. But I live today, and not in three months from now. And today, I am happy. Today, Robin van Persie and Daley Blind provide sheer happiness.